During 2013, 468 HR professionals from all nine provinces and four other countries met in Johannesburg to develop the first set of National HR Standards for South Africa. Several awareness sessions followed in major cities throughout the country, and presentations were also done for the HR professional bodies in Zambia, Zimbabwe, Namibia and Botswana. More than that, interest was attracted from 17 countries (Zimbabwe, Namibia, Botswana, Zambia, Swaziland, Kenya, Ghana, UK, USA, Australia, The Netherlands, Malaysia, Lesotho, Tanzania, Liberia and Iran). When the standards were developed, 11 universities were involved, and since then a further 10 universities have expressed their support and interest. Some of them have started to change their curriculums to meet the National HR Standards. Two PhD students are also interested to work on the HR standards as their topic for their theses. The first master’s degree covering the HR standards was already awarded to Pauls Gibbons, General Manager of HR at Mintek. Also, the new Master’s HR Programme at North-West University Vaal Triangle Campus have been based on the HR Standards and Competencies. Moreover, a total of 19 professional bodies (HR and non-HR) supported the initiative. The University of South Africa and Nelson Mandela Metropolitan University have been the first two universities to publish textbooks incorporating the HR Standards. This is a clear sign of their academic commitment to the National HR Standards. Cello Gardner: Assistant Director: HR, University of Zululand. “Thanks a lot for this, great work! Much appreciated! Building on the success of the National HR Management System Standard launched in 2013, the HR Standards journey continues in 2015. With HR professionals in practice now for the first time united with HR academics provides an opportunity for national alignment of curriculum, research and practice. Universities and other learning providers play a key role to build capacity around the HR Standards. Some of them will also exhibit at this year’s conference at the Sandton Convention Centre. I am excited to see so many universities and business schools exhibiting at Leaderex together the National HR Standards Roll-out on 17 September. 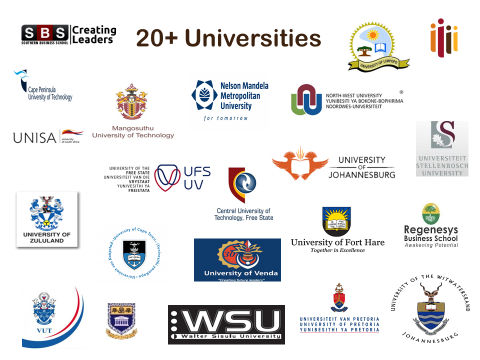 Likewise, the University of Kwazulu-Natal has joined the HR Standards Journey this year, and other higher education institutions present will be the University of Cape Town, Vaal University of Technology as well as Tshwane University of Technology. 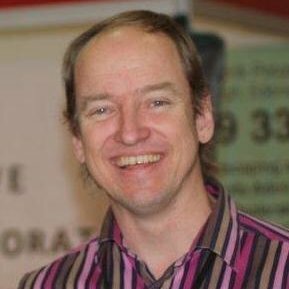 To further strengthen academic inputs, we are bring out to South Africa, Dr Chris Andrews from Bond University in Australia, the first person to complete a PhD on HR Auditing. In addition, Prof Theoo Veldsman from the University of Johannesburg will present phase four of the National HR Standards Initiative, i.e. the new National HR Metrics Framework. We look forward to welcome our HR academics and I want to thank the universities for their excellent support with curriculum development, teaching and research on the HR Standards.